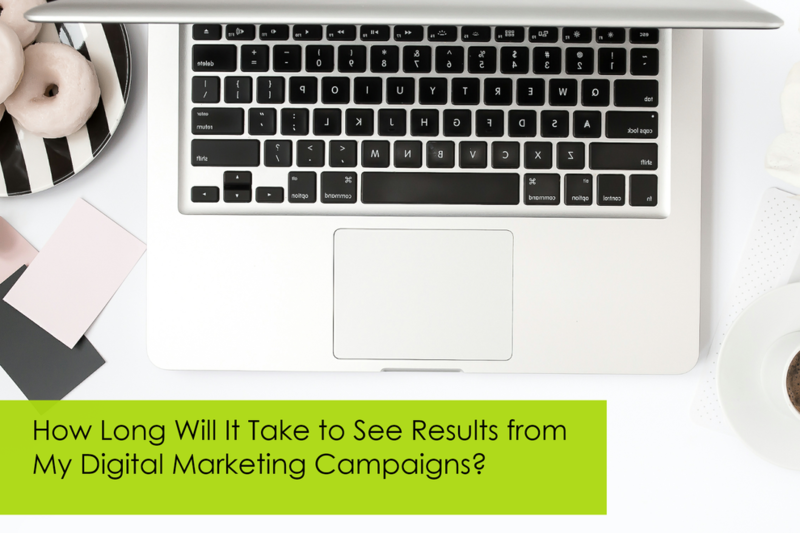 How Long Will it Take to See Results From My Digital Marketing Campaigns? Usually we look for measurable results by the end of the first quarter, if not sooner. That's not to say getting the conversions you are seeking will happen that fast. With digital marketing, it often seems like you are able to see results much faster than with traditional marketing because it’s easier to measure your ROI, but it can take longer to have sustained, dependable growth. It can take a few months or even a few years to see the full extent of results from your efforts and investment. It really depends on the scale and effectiveness of your digital marketing strategy. If you are using paid advertising (like Facebook ads, Google Adwords or other display advertising venues), your results will come even quicker. We recommend that you maintain a balance of organic/free reach using content, SEO and social media with paid advertising for the best long-term, sustainable success. How quickly have you gained results from your digital marketing efforts? What has worked the best for you?